Hope you all are having a great week. "Thursday Thoughts" for you...enjoy! 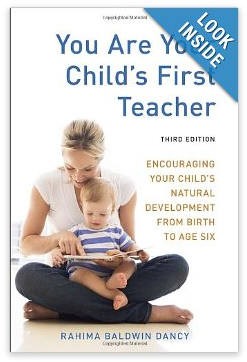 ++ Reading to prepare for motherhood - I started reading "You Are Your Child's First Teacher" - highly recommend it! The book walks you through the stages your child goes through from birth to 7 and talks about the importance of your environment, home routine, etc... easy to read and it's the 3rd edition so it's more modern than some of the books I've started reading. ++ Blogs - I follow Schuelove - (great blog) and she posted a link to this post about postpartum. I have a few friends who have just had babies so I've been talking to them, but I thought this was good and definitely very REAL - "What they don't tell you about postpartum" - a little scary too! ++ Websites - I've been searching for good maternity workout clothes and haven't found any that I love yet...I'll keep you updated. ++ Fitbit - do you have a Fitbit? I know it's trendy but I'm obsessed with my Fitbit. It tells you how many steps you take, how many calories you burn, and it's all synced up to your iPhone. You can wear the one I got on your pants or bra strap so people can't see it. It's definitely made me park a little further from my destination and burn those extra calories.